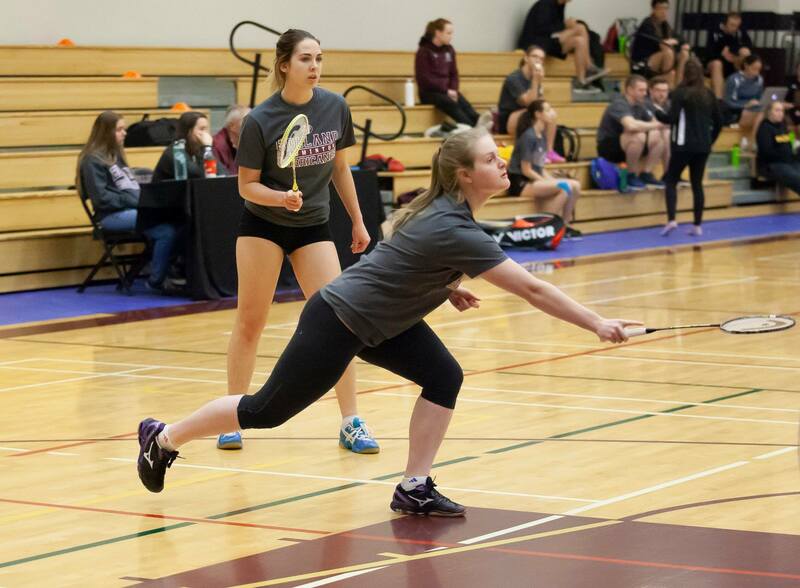 After a fourth place finish last weekend in Sackville, New Brunswick, the men’s and women’s badminton Hurricanes look to improve their performance with a strong showing this weekend in Halifax, Nova Scotia, in an event hosted by the UKC Blue Devils. The event, which begins at 7pm on Friday evening, is the third competition of the season for the Hurricanes. Play will conclude on Saturday evening; it begins at 9am earlier that day. Last weekend in Sackville, NB, the host-team, the Mount Allison Mounties, walked away with the four-point victory over the UKC Blue Devils. The Dal AC Rams would finish third while the Université de Sainte-Anne Dragons finished in fifth behind the Holland Hurricanes. Isabelle Saunders would earn ten points for the ‘Canes in the women’s singles B competition, not losing a set in her four matches. Earning seven points each for the ‘Canes was the teams of Meredith Harrison & Teanna Letkeman in women’s doubles B, and Josh Watkins and Jonah Wilton in men’s doubles A competition. The following players will make the trip to Halifax, NS this weekend to represent the Hurricanes in the competition. For more information on ACAA Badminton, visit www.acaa.ca. For more information on the Holland Hurricanes, please visit www.hollandhurricanes.com, www.facebook.com/hollandhurricanes, www.twitter.com/hc_hurricanes and www.instagram.com/hollandhurricanes.